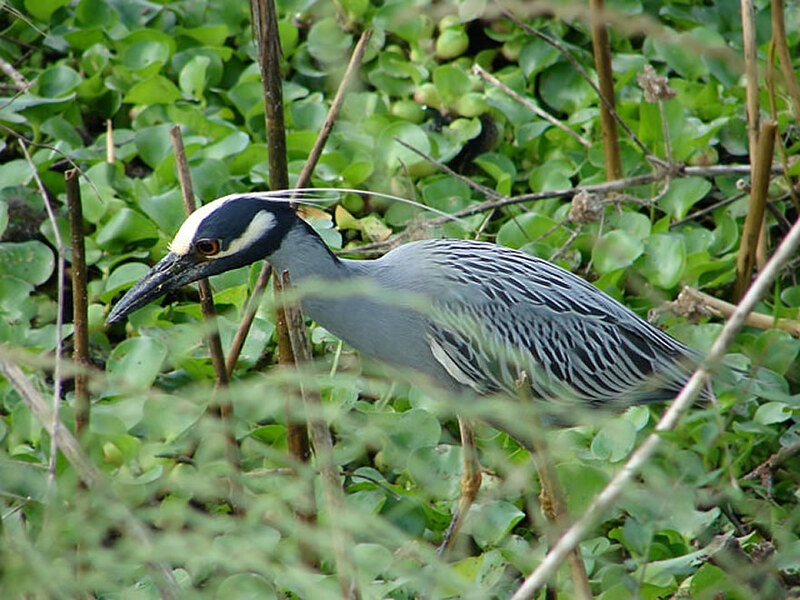 You might expect birds such as sparrows and doves to nest in the city, but did you know that Yellow-crowned Night-Herons do? Julie Ann Brown of Galveston Island Nature Tourism Council was excited to see a beautiful pair of Yellow-crowned Night-Herons building a nest in one of the oak trees near the intersection of Avenue K and 18th Street. This species has adapted quite well to living near people, so this is not an uncommon behavior in areas that have the resources they need for nesting: large trees near water. Initially males can be seen bringing sticks to females to begin building the nest, and both will participate in finishing it, strengthening the pair bond. The completed structure may be as large as four feet across, and the female will lay 2-6 eggs. It will take almost a month after the female lays the eggs for them to hatch, so you’ve got some time to go check out nest-building and young-rearing activities. Please be sure to keep a respectful distance and stay as quiet as possible so as not to disturb the parents and neighboring homes. Kristine Rivers founded Birding for Fun in 2015, and is a popular tour guide and speaker whose enthusiasm for nature is contagious. A lifelong birder, she has been an area leader for the Brazoria Columbia Bottomlands Christmas Bird Count since 2011, and has been President of the Texas Master Naturalist Cradle of Texas chapter since January 2017. YES, YOU CAN PARTICIPATE IN A CHRISTMAS BIRD COUNT!